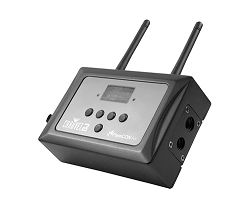 LightShark is a cross-platform lighting control system, with up to 8 DMX universes, which has an ultrafast web-based User Interface, being able to connect up to 3 devices at the same time to create your own multiscreen control system. Thanks to this concept, LightShark features a plug & play solution, avoiding the inconvenience of having to install any software or driver on a computer. A web browser is all you need to have complete access to the software, no matter the Operative System (iOS, Android, Linux, Windows, macOS). 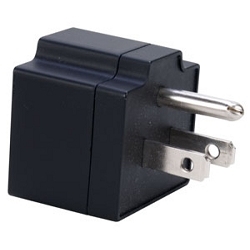 Designed for fast programming, avoiding repetitive tasks. 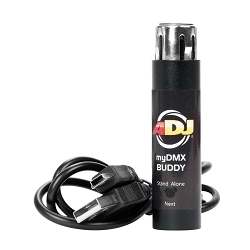 Supports DMX-512, Art-Net, ACN, MIDI, UDP, OSC & HTTP. Multi-touch UI: Allows multiple touch events simultaneously. 8 DMX universes: 4096 channels to manage a complete show. Edit your own fixture library with support for virtual modes. 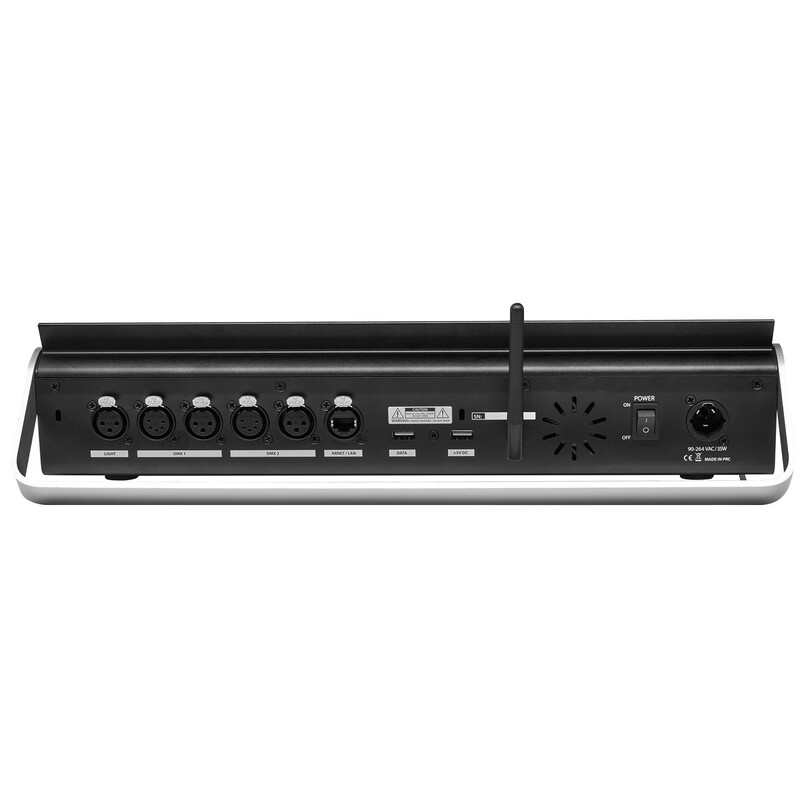 Supports OSC control software or a MIDI console connection. 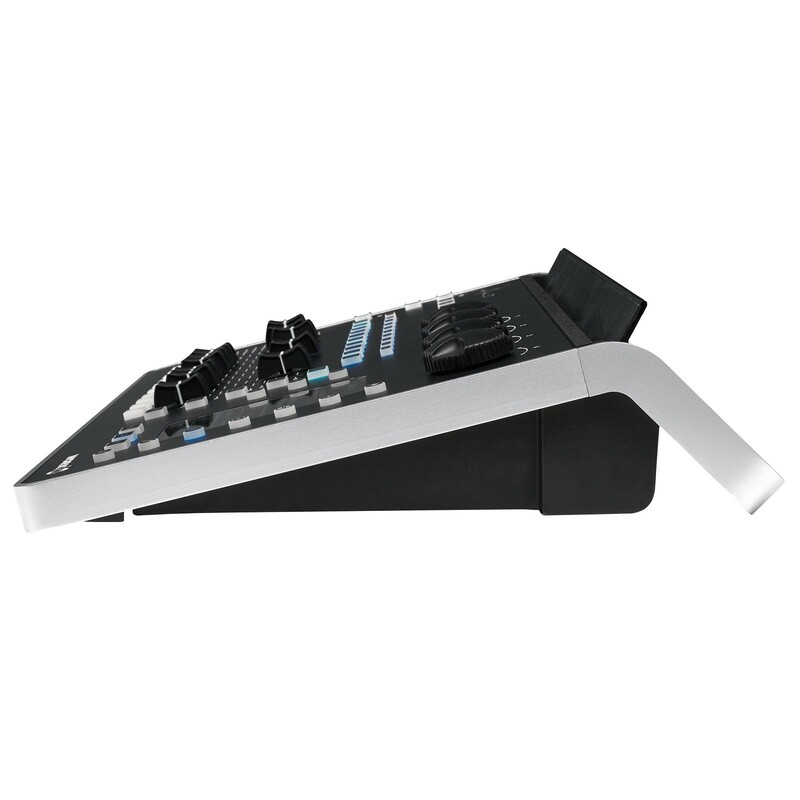 10 main playbacks: 10 main playback faders. 20 virtual playbacks: manage 30 playbacks in total. Manual crossfade: Jump quickly between cues. Cross-platform: No matter the OS, it is web based. Built-in web server app, pre-loaded instantly in the web client. 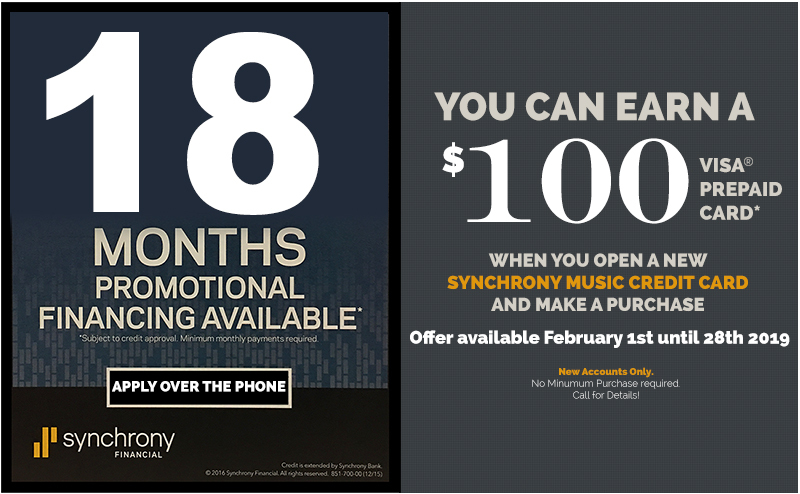 Extended Cue memory: Up to 1200 cues. Fanning function: Quick access to fanning. Built-in FX engine: More than 20 customizable effects. 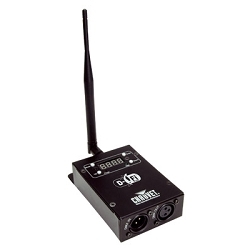 Submaster FX size & speed: Accurate effect control. RGB & CMY Color Picker: Adjust the color with just a click. Unlimited user palettes gives you a lot of possibilities. Customizable Executors window: Ultrafast cue triggering. Internal event scheduler: Useful for architectural applications. 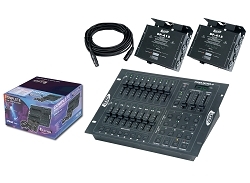 The LightShark range comprises two independent hardware products which have built-in the LightShark engine software, the LS-Core and the LS-1 console, both developed and designed entirely within WORK PRO's lighting division. 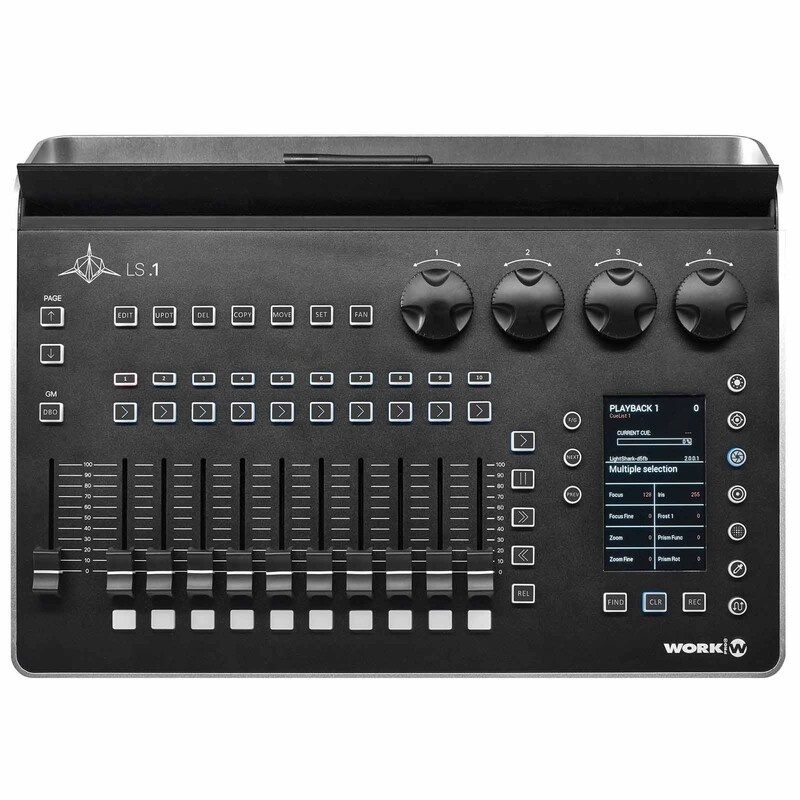 The LS-1 brings together the best features from the world of innovative software-only lighting control and marries them to an intuitive, ergonomic hardware control surface. 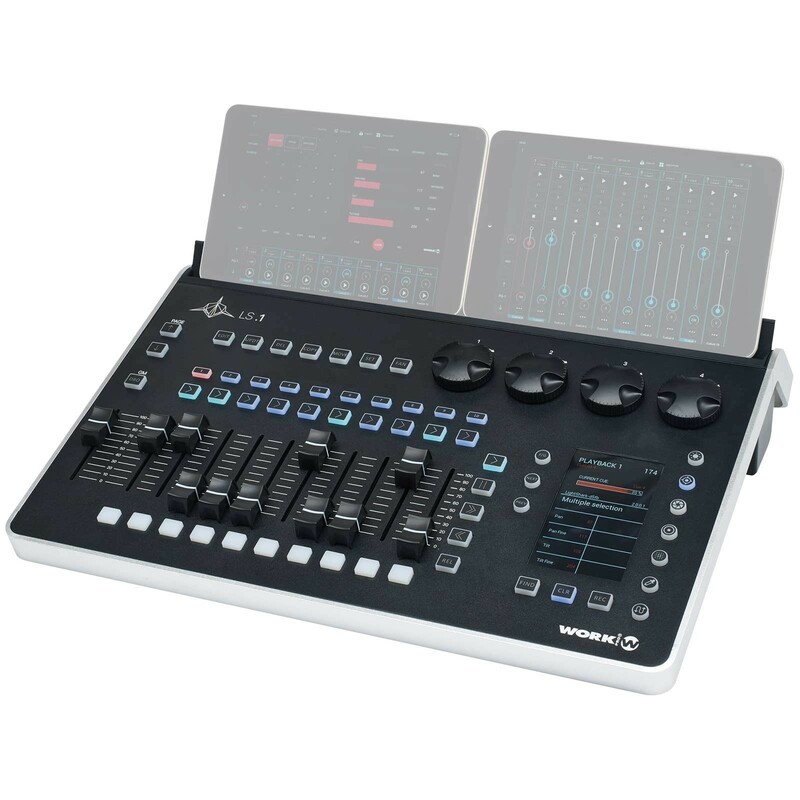 The LS-Core omits the LS-1's hardware control surface but offers exactly the same lighting control software, processing power, and smartphone/tablet-based software control interface.